Slightly Stoopid "Return of the Red Eye Summer 2016 Tour" - Otter Productions Inc. | Otter Productions Inc. Slightly Stoopid "Return of the Red Eye Summer 2016 Tour" - Otter Productions Inc.
SLIGHTLY STOOPID brings their “RED EYE SUMMER TOUR” to California’s Premier Beach Front Concert Venue, the Avila Beach Resort, on Sunday July 3rd… and they are bringing some friends to the party, SOJA and Z*G*E* – Zion I, The Grouch & Eligh. Fans can expect to hear tracks from Slightly Stoopid’s newest release Meanwhile… Back at The Lab, plus cuts from releases over the group’s two-decade spanning career. This will be the Summer’s BEST BEACH PARTY! With Stoopidhead Packages (Artist VIP Package, All Ages, $99.14 + fees), Avila Beach Club Balcony (21+, $90.36 + fees) and General Admission Lawn tickets ($37.73 + fees) available for sale, this will be an afternoon/evening concert, gates open at 4PM and the show will continue into the evening. In the style of any great beach front outdoor venue, you will be able to enjoy your favorite libation (adult beverages for 21+ with ID), snack (upgraded concert snacks available for purchase), watch world-class entertainment under the afternoon sky with your backdrop the Pacific Ocean. Advance Stoopidhead packages are on sale now (www.slightlystoopid.com ). Avila Beach Club Balcony and G/A tickets are on sale now at Boo Boo Records in SLO, on line at and http://returnoftheredeyeavila.eventbrite.com/?aff=ineffable. All Ages. 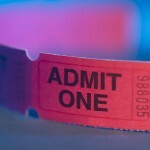 10 and under admitted free in Lawn Seating only when accompanied by paid adult, one child per one paid adult. Rain or Shine. Please no outside food or beverages. No pets. No umbrellas. Low-backed lawn chairs (2’ maximum back height) and blankets allowed in Lawn Seating only. No high-backed chairs will be allowed in venue. Paid parking available on-site. Gates are at 4PM. 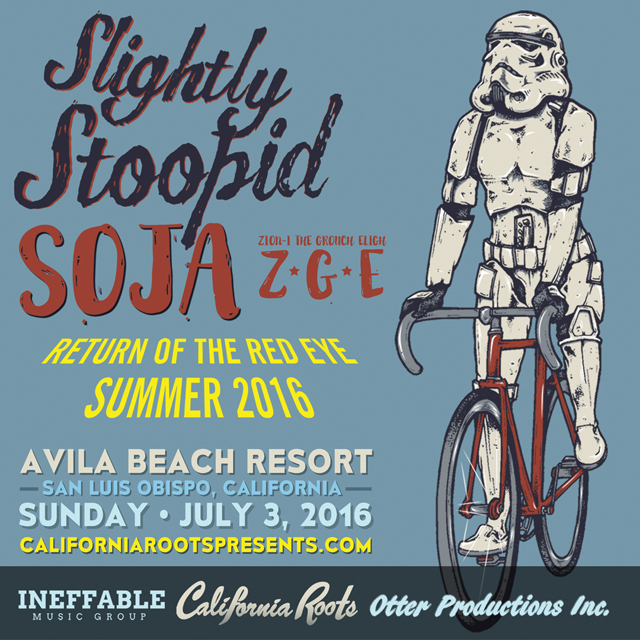 Artists include Slightly Stoopid, SOJA, Z*G*E* Zion I, The Grouch & Eligh. There will be food and beverage for sale at the venue. No outside food or beverages will be allowed in the venue. Sealed plastic water bottles will be allowed. There will be water for available for free and bottled water available for purchase. Okay to bring empty water bottle. No ice chests, picnic baskets, etc. There are Stoopidhead Packages (Artist VIP package), Avila Beach Club Balcony (available for 21+), and General Admission tickets only. Advance Stoopidhead packages are on sale now (www.slightlystoopid.com ). Avila Beach Club Balcony and General Admission tickets will go on sale Friday, February 26th at 10AM Boo Boo Records in SLO.